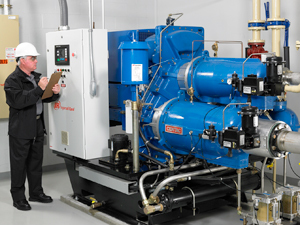 Air Unlimited Inc. is Manitoba’s leading compressed air systems and building power solutions company. Since the beginning of the company in 1984, we remain to be locally owned and operated. Over the years, we expanded to Saskatchewan, building two other locations to serve people living in Western Canada. We provided solutions in these regions for construction and national railroad companies, miners, farmers, offices, factories, and more. Our staff offers specialized and thorough advice to our customers 24/7 365 days of the year. Our aftermarket team ensures that any issues with warranties, parts, or maintenance are fixed immediately by providing customized care packages and replacement parts. We, at Air Unlimited, are here to ensure that our customers receive the “best of the best” in solutions, service and aftermarket support for their business, through continuously striving to optimize their Compressed Air Systems and Building Power reliability, profitability and performance.